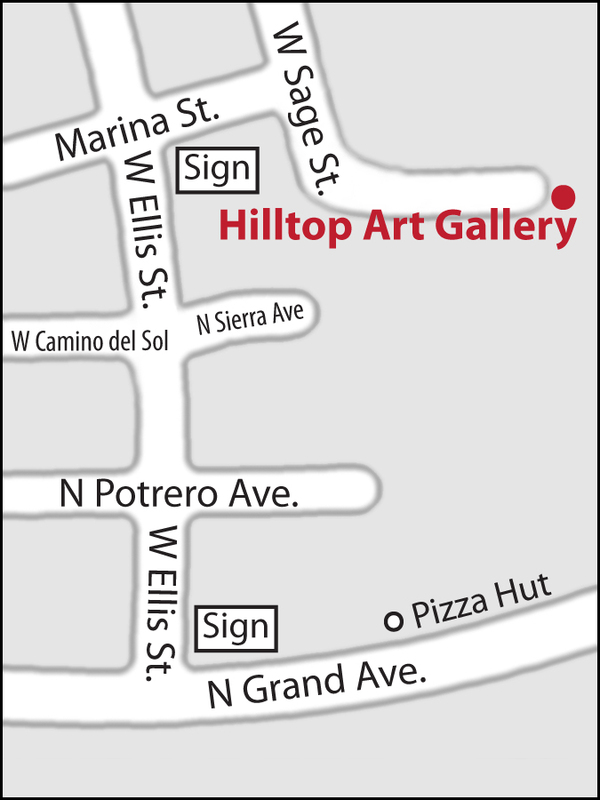 The Hilltop teamed up with the Little Gallery (also known as the 639 Grand Gallery) at the Quality Hotel Americana in Nogales (photo above left and bottom right) to help bring the first Emerging Arts Festival to our community. This Festival — themed Visiones Nuevas, or New Visions — on November 5 is the brainchild of local artist and instructor Nanette Miranda (photo above, left) who wants to encourage up-and-coming artists to show and sell their work. With more than 18 artists signed up and showing their ware inside the little gallery and spilling outside, the event was deemed a success for it’s first year. “I have seen some amazing art in our community,” says Nanette, a long-time Hilltop member who opened her own gallery last year, “However, many of these young artists are shy about showing and selling their work, or have the right venue in which to do so. We wanted to create a supportive and friendly environment to welcome them into the art world.” She added that she plans to expand the event next year. The Festival had a fair-style set up with tables where artists can display their work. Displaying artists could also select up to two works from their display to show at the Hilltop Gallery during November, thereby expanding their visibility. Cash prizes will be awarded to the top artworks selected by members of the Gallery Board of Directors on November 13.